As 2015 comes to an end, it is time to think about recapping the numbers for this year's achievements in public use bicycle cities around the world. This animation shows the growth of the public use programs in the world since 1993 through 2015 and beyond. As this year closes, there have been around 120 new cities so far that have started bike-share systems. China leads the way with around 60 new cities, while the USA saw around 20 new cities join this movement. Using the data from The Bike-sharing World Map, a comprehensive look at 2015 will available on this blog in early January 2016. 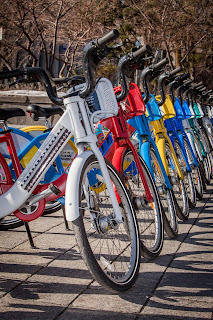 Currently, there are around 980 cities that have automated, 3rd generation, information technology bicycle programs that allow 'A' to 'B' pick-up and drop-off. The total number of public use bicycles in operation throughout these cities is around 1,258,500. New this year is the inclusion of 'Pedelecs', electrical assist pedal bicycles, which comprises around 9,300 bicycles of this total. This subset has been growing extensively in the last year and will only continue to do so into 2016. After years of utilizing fairly low grade bicycles in public services, many Chinese cities are finally upgrading them. The Hangzhou GST Development Company, the research and development arm of the Hangzhou Public Bicycle Program, has created a GPS enabled "smart bike" as part of the IBSplus system to be first deployed in Laingzhu, a town near Hangzhou. The same company is also creating a single access and payment card called "ibicycle", which can be used to access all of the 147 services throughout China that utilize their equipment, according to the Kim Tong News Agency. Additionally, The Hangzhou GST Development Company is developing a mobile phone application they have named "icycle", which can be used to access, pay, and map the bicycle usage. 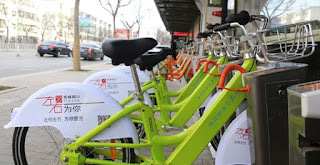 The other major Chinese company, Changzhou Wing Eversafe Public Bicycle Systems, has already issued a single access card to 44 of the 150 cities that use its equipment including the Russian city of Blagoveshchensk on the Chinese border. Pedelecs to its current 5,000 pedal bicycle service, making it the first and largest deployment of pedelecs not only in China, but in the world. Jincheng joins Barcelona and Milan with mixed pedal and pedelec bicycles in their fleets. With only a few days in operation, it is not known if the new pedelecs are being used as much as in these two other cities. 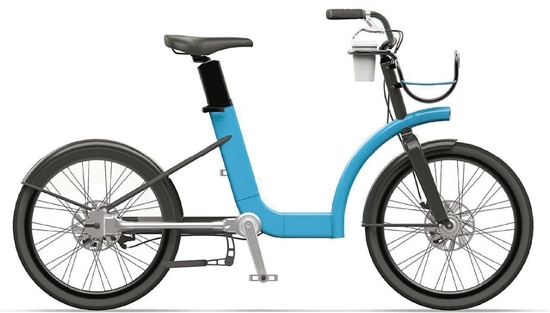 Speaking of mixed Pedelec and pedal services, ZYP Bikeshare has brought solar-powered electric assist bicycles to the deep South of the United States. Since its debut in October, around 2,800 members have ZYP'ed around town, making the service's name a verb to describe the experience. Around 25% of the current fleet of 300 bikes in 30 stations are pedelecs, which help the residents and visitors conquer the hills surrounding the Central Business District (CBD). This spring the service will grow to 100 pedelecs and 300 8-speed pedal bikes in 40 totally solar stations. 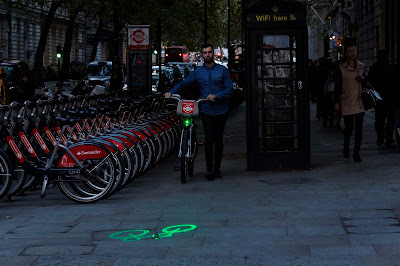 All the bikes are 'smart GPS-enabled' and the illuminated kiosk can dispense a rechargeable card for those who are only occasional users. As with many services, the bikes can be accessed using a mobile phone application. ZYP'ing around the Birmingham's CBD is now "no sweat" with a little pedal assist! MetroBike is pleased to be celebrating our 10th anniversary this month. 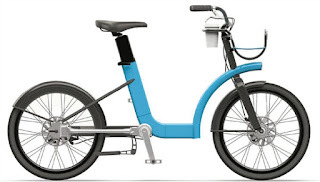 After many years of publishing academic articles on bike-sharing while working on my master’s degree with the hope of someone else bringing bike-share to the shores of the U.S., I became impatient with the wait and knew I had to be the change I wished to see. So in November 2005, I left the safety of a municipal job with benefits to found MetroBike in order to foster bike-sharing’s introduction. MetroBike was the U.S.’s first bike-share consultancy. My parents thought I was crazy. Looking back, I guess I was. 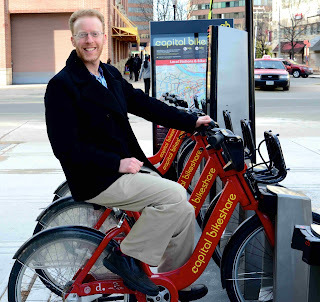 With MetroBike I’ve had the opportunity to assist in founding Capital Bikeshare in the Washington, D.C. region where we serve in a managerial and planning role for two of the system’s municipal owners, having sited 132 of the service’s stations. I’ve enjoyed returning to Copenhagen – the city where I first learned about bike-sharing in 1995 – to help the region modernize the former coin-operated system that helped the world see what bike-share could be on a large-scale. There have been many other non-profit, for-profit, academic, and local and federal government clients over the years. 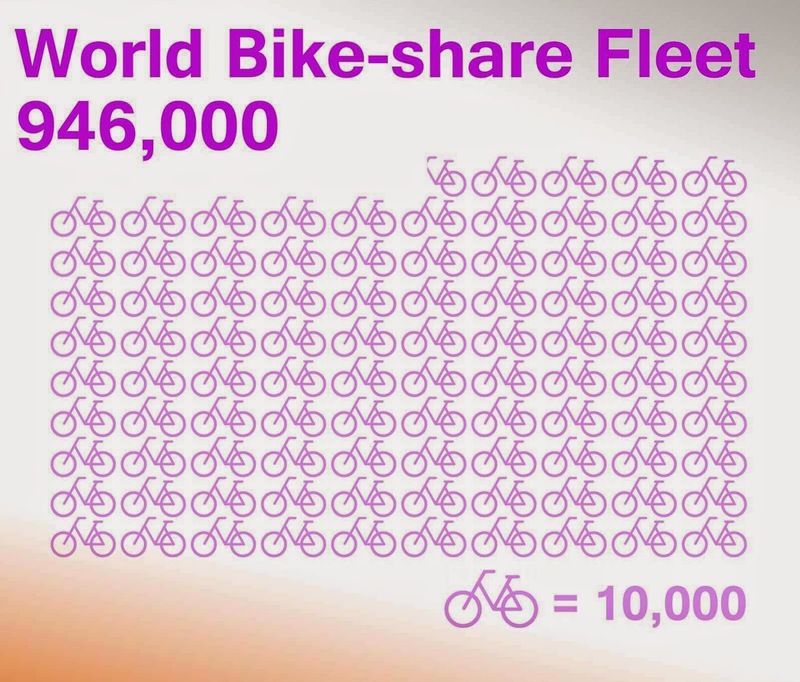 Also, I’ve doubled the size of MetroBike from one to two people – a 100% increase! While MetroBike isn’t a Fortune 500 company, it’s nice that a small business can help change the world. Thank you to MetroBike’s past and present clients and the folks who have believed in me to bring this crazy little idea of bike-share into their pocket of the world. Thanks also to the readers of The Bike-sharing Blog and The Bike-sharing World Map. It’s wonderful to be able to do something that I love in making bikes available to all for a cleaner and healthier planet. We’re looking forward to the next 10 successful years. 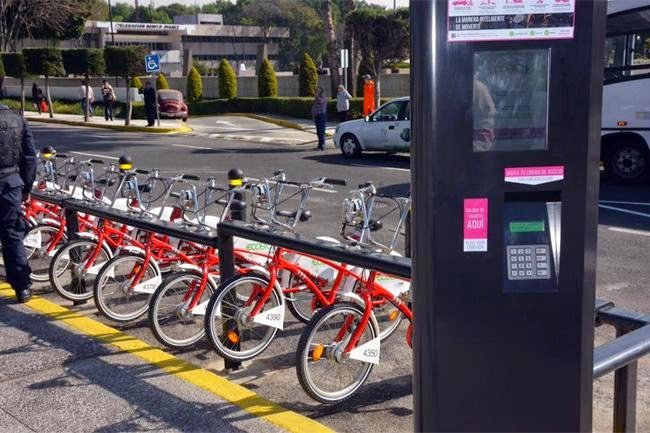 For its 5th year anniversary on February 16, Ecobici in Mexico City enters its forth phase expansion with the opening of 171 new stations with an additional 2,300 bikes in the Bonito Juárez section of the City. 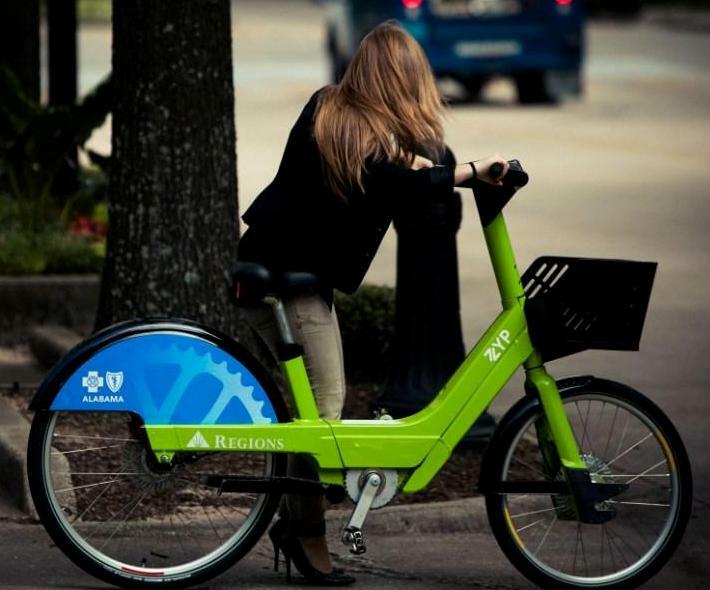 This makes Ecobici the largest bike-share program in the Americas. Claiming 6,500 bikes in 444 stations this week, Mexico City topples the bike-share North American leaders of New York City, Montréal, and D.C.
A common complaint about bike-sharing is that one needs to have a credit or debit card in order to use the service, which is not the case with most public transit. However, unlike other modes of transit that accept cash, the customer is not given the key to the vehicle and ability to drive it away. 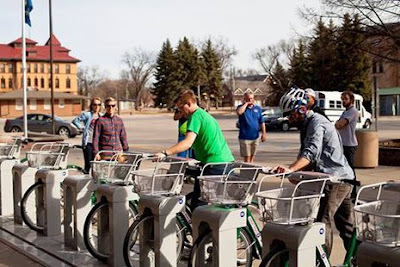 With bike-share bikes costing upwards of $1,000, bike-share services typically require customers provide their credit or debit card upon registration so that the operator has recourse for the replacement cost of a bike in the rare event that a customer does not return their bike. The unintended consequence of this is that the unbanked – those who do not have a checking/savings account or credit/debit card – are unable to use the service. 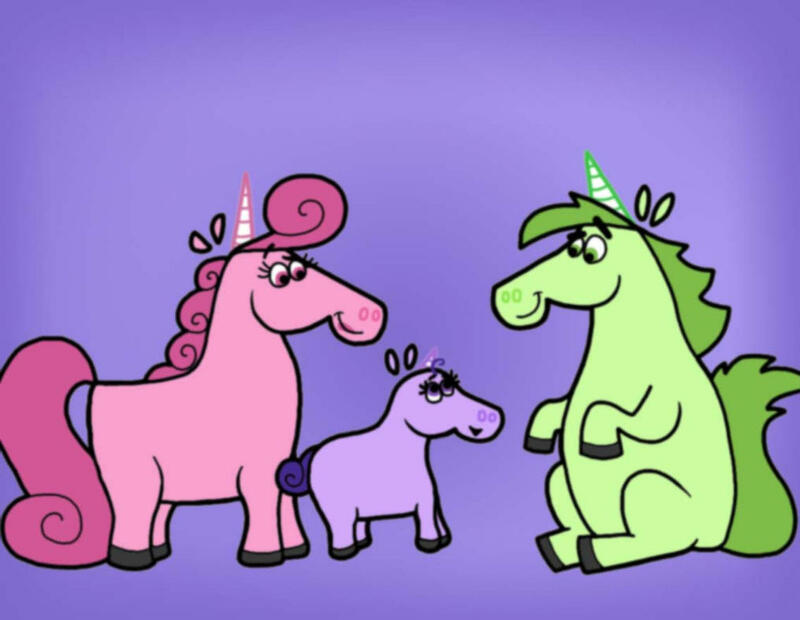 One can be unbanked due to a past history of poor credit or because they have chosen to not use these financial institutions in favor of check cashing establishments to better meet their needs. 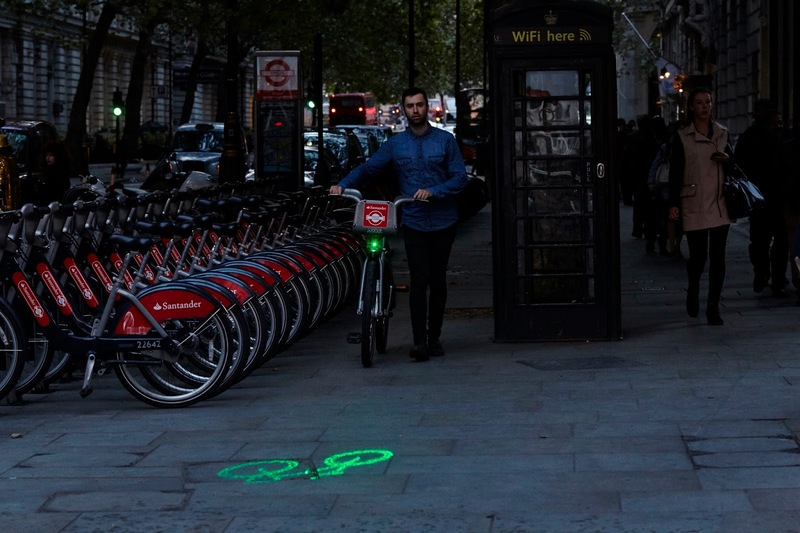 Regardless of why they are unbanked, the unbanked need access to bike-share as it’s one of the most economical modes of transport, as well as healthy for the rider and good for the environment. Arlington County has developed a solution for its residents to pay with cash for a bike-share membership and usage fees – likely the first of its kind in North America. Arlington will vouch for its residents, so that they don’t need to provide a credit or debit card. 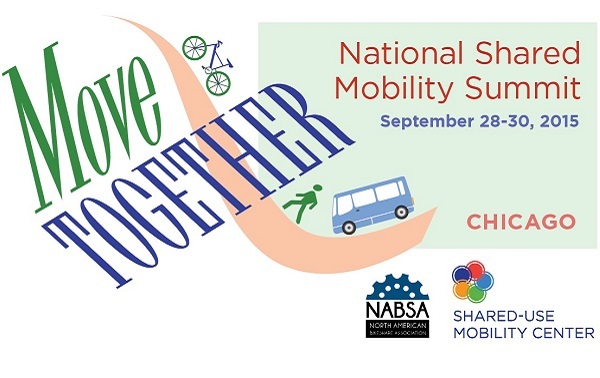 We will do this through our Commuter Stores, owned by Arlington County Commuter Services (ACCS) which has five Commuter Stores which sell transit fare passes; and provide transit, carpooling, vanpooling, biking, and walking information. Four of the Commuter Stores are "brick and mortar" shops and one is an RV (Commuter Store on wheels) with a weekly schedule. The Commuter Stores started providing walk-up Capital Bikeshare membership registrations in May 2014 where the membership fob is provided on-the-spot, so would-be customers need not wait the 5 – 7 days to receive their fob in the mail as with the standard online registration. The Commuter Store’s accounting system allows cash to be accepted due to its transit pass sales business. Now Arlington residents can visit any Commuter Store location with a current government-issued photo ID with their Arlington address shown, such as a driver's license. Or they can show their passport, Permanent Resident Card (“green card”), or Employment Authorization Card (work permit), along with a copy of a utility bill dated within the past 60 days with their name and Arlington address. The Commuter Store representative will verify the individual’s identity and assist them in signing up for an annual membership with monthly installments ($84/year and paid as $7/month) or annual membership ($75 and paid at once). An account can be opened with as little as $16 in cash towards the standard price of an annual membership with monthly installments. This covers the $7 per month membership fee for two months plus usage fees for trips beyond the first 30 minutes which are at no additional charge. Another option is paying $100 in cash for the annual membership cost of $75, and the remaining $25 will be used towards usage fees. Credit reports will be sent weekly by the Commuter Stores, as will debit reports be sent weekly by the operator, Motivate (former Alta Bicycle Share), to Arlington’s Capital Bikeshare program manager. 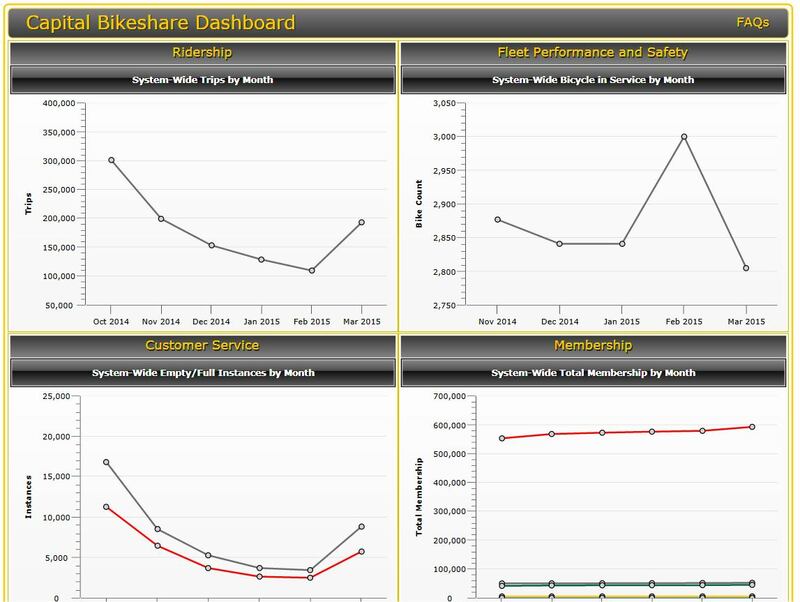 The credits and debits will require manual tabulation presently, but improvements in the bikeshare system’s back-end will allow this to be automated in the near future. When a customer's account goes below $2, the County will contact the individual to add more money to their account. At $0, their account will be closed until more money is added, with any month's missed membership fee paid for as well. 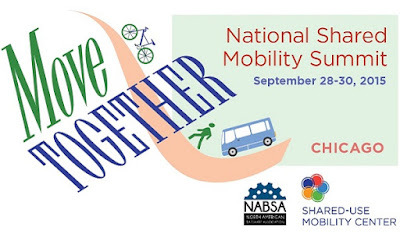 This solution should work well for Arlingtonians over the next year during this pilot. It’s a step in the right direction for Arlington and Capital Bikeshare and better addresses bike-share’s equity issues. More can and will be done to assist low-income Arlingtonians use the service by building on top of the Commuter Store’s bikeshare customer registration and now cash acceptance for payment. 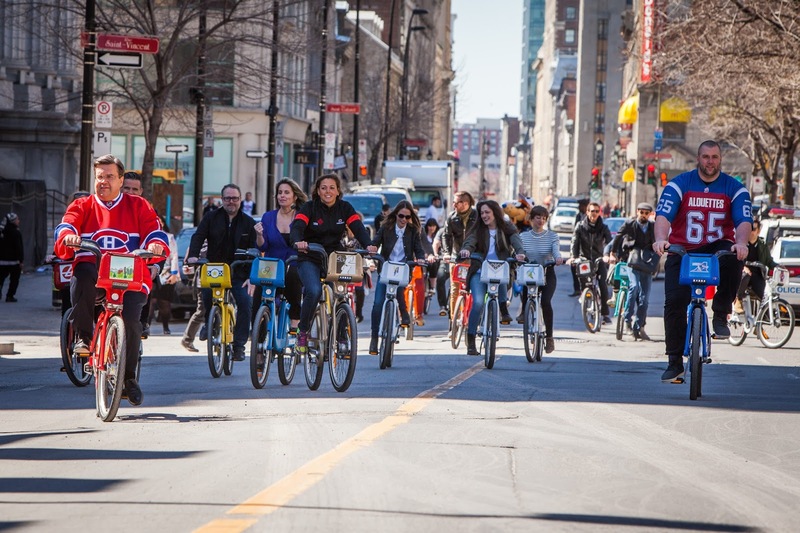 This solution is not a one-size-fits-all for other bike-share municipalities and operators, but hopefully this step will lead to more innovation in assisting the unbanked use bike-share services nationwide. 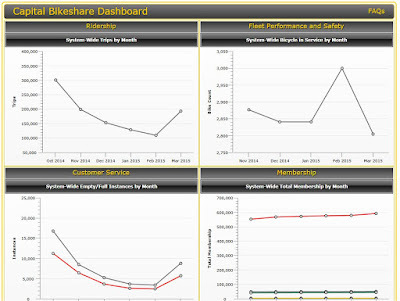 MetroBike serves as Arlington County's Capital Bikeshare program management consultant.